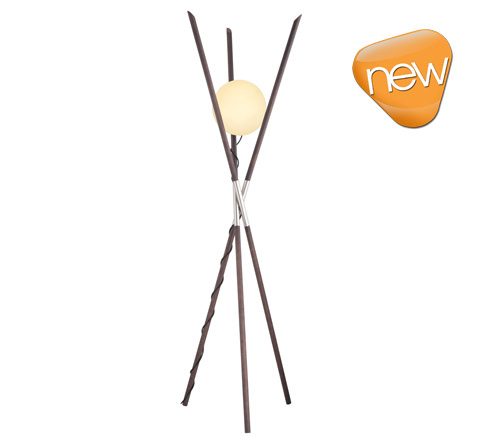 The Moon lamp consists of three ash wood sticks in wengue effect (new look). 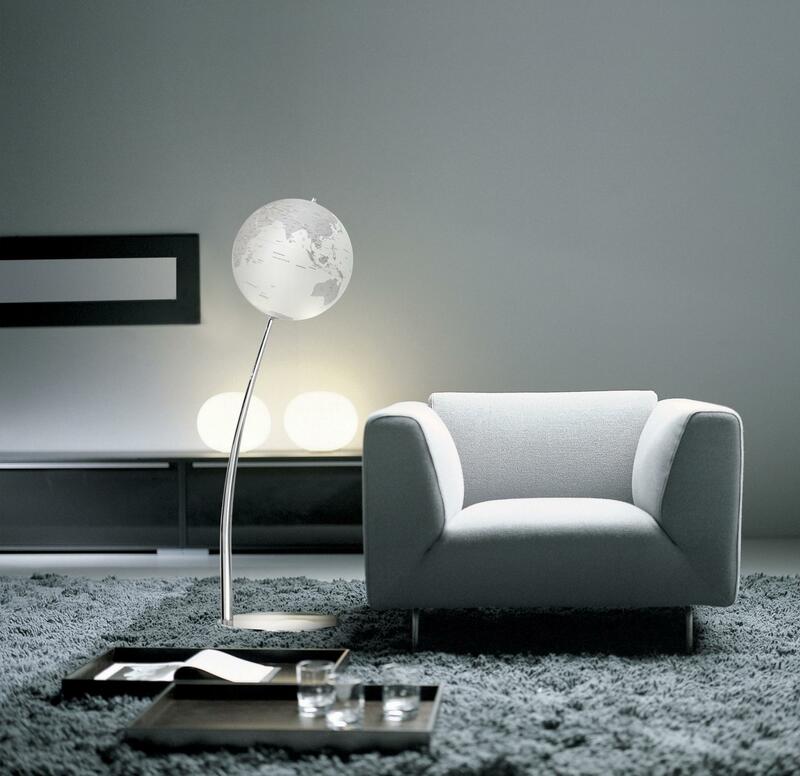 Simplicity is the key for its beauty and elegance. Designed by Nora Lederer. Easy mounting. Materials used: Wood ash (sticks), satin steel, black textile wire and glass (lamp). Specifications: 1xE27 230V. Includes dimmer (min: 60W max: 150W). Height: 212cm Width: 65cm.